One of the latest events I have been to was quite peculiar. 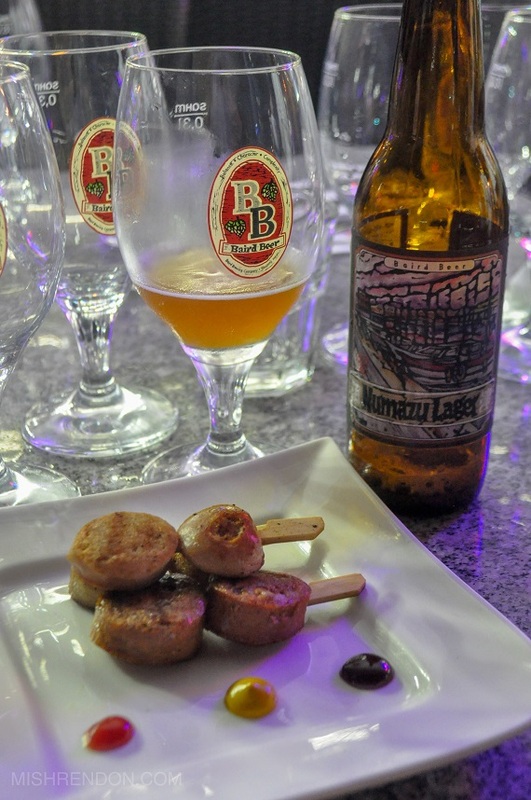 I've been to tons of food events in the past already but it was my first time attending a food & beer pairing event. 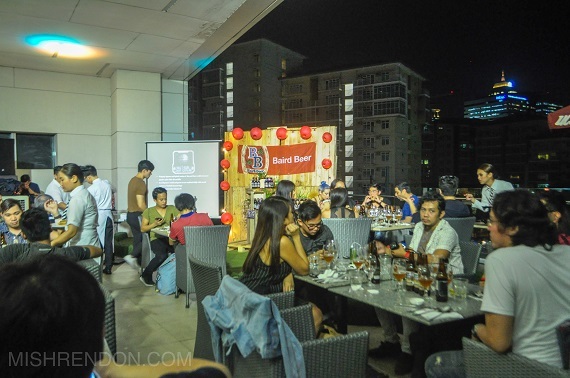 With much excitement, I braved the Friday night traffic to get to Mentore Coffee + Bar by UCC in SM Aura, BGC for a fun and appetizing night with them and Baird Beer. 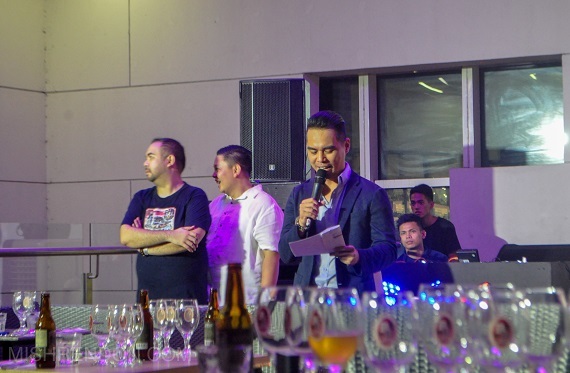 Baird Beer is now in the Philippines! 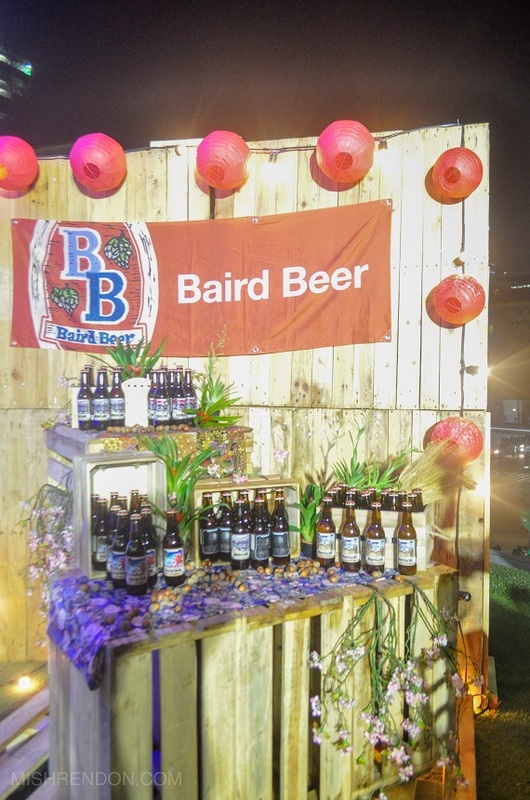 Baird Beer is a brand of craft beers manufactured in a brewery based in Japan. They take pride in pairing balance and complexity to come up with a character for each brew. Each bottle of beer is made in small batches and with the highest standards to achieve the best quality. They have 12 year round staple brews, but only 6 have been initially brought to the country. They are currently being imported and distributed exclusively by Booze Online Inc. here in the Philippines. 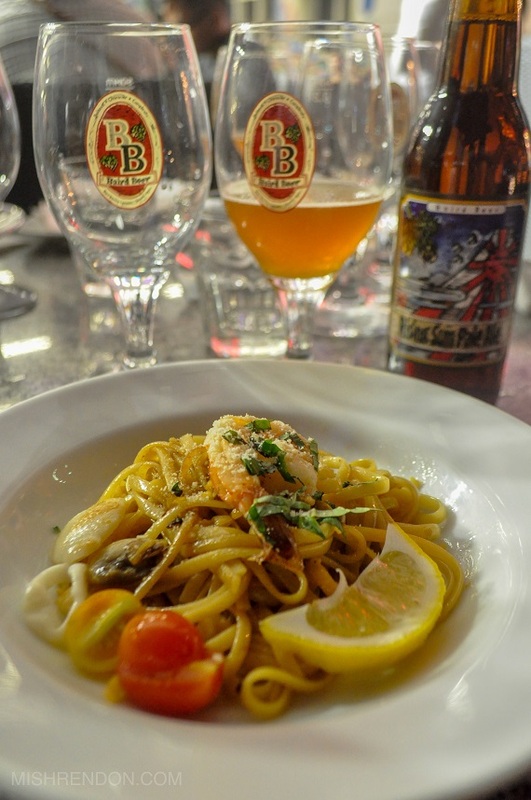 In Japan, they have several taprooms where you can pair your craft beer with suitable and specialty cuisine. 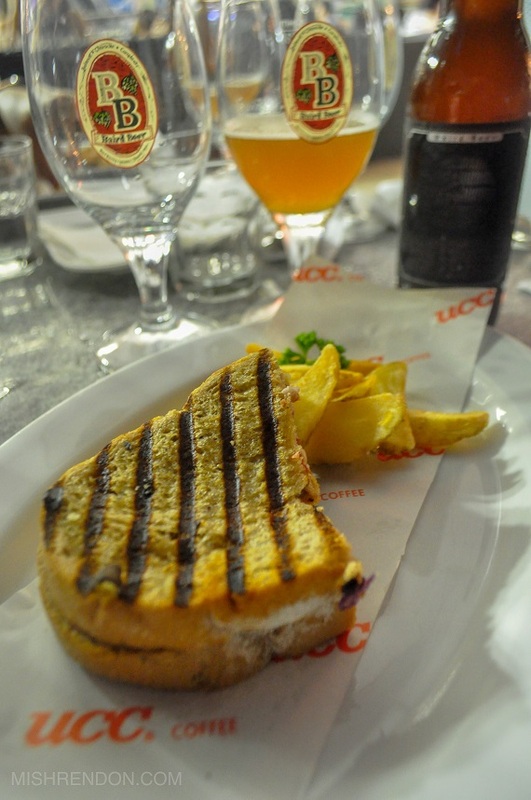 Since we don't have those here, it is just fitting to pair Baird's craft beers with staple dishes from UCC Mentore Coffee + Bar, one of the oldest Japanese coffee shops that have ventured not only in specialty coffee but also in great food. The Sausage Platter was the perfect appetizer. The sausages are seasoned well with salt and pepper and cut into bite size pieces. There are options of ketchup, mustard, and barbecue sauce as dips but I liked the barbecue sauce the most since it adds depth to the savory flavor. The Nomazu Lager was one of the brews that I really liked. It has a soft floral aroma and amber gold color. It has a roundly malty flavor and offers a snappy finish. It wasn't as bland as other lagers. It's mild flavor went well with the savory sausage platter. It definitely set the standards high. 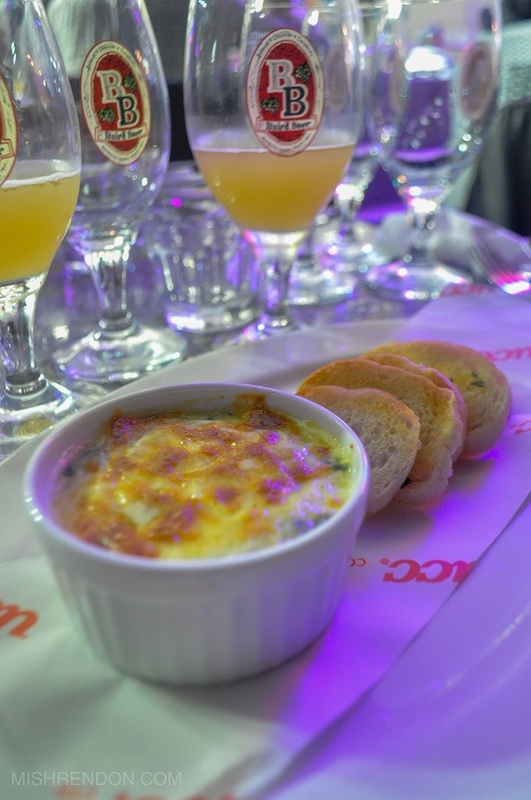 My favorite pairing would definitely the Cheese and Spinach Dips with the Wheat King Wit. The Cheese and Spinach Dips by UCC Mentore was creamy. The baked spinach was surprisingly easy to eat. The bechamel sauce and cheese was heavenly! When the crostinis were gone, I decided to eat the dip on its own. It was that good! 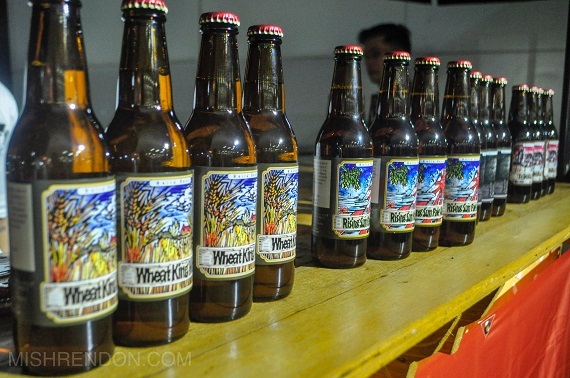 The Baird Wheat King Wit beer on the other hand was a perfect match because of its light, fruity, and quenching taste. This is actually my personal favorite. The fruity flavor is brought about by the warm fermentation of house Belgian Witbier yeast. I swear this beer reminds me of pineapples upon tasting. The prettiest dish that hit our tables that night (aside from the dessert ;)) was the Seafood Scampi. It was the lightest pasta dish that I have ever had. It has a garlicky butter flavor with a tangy aftertaste. I love how fresh this dish is as it incorporates various seafood such as shrimp and scallops. 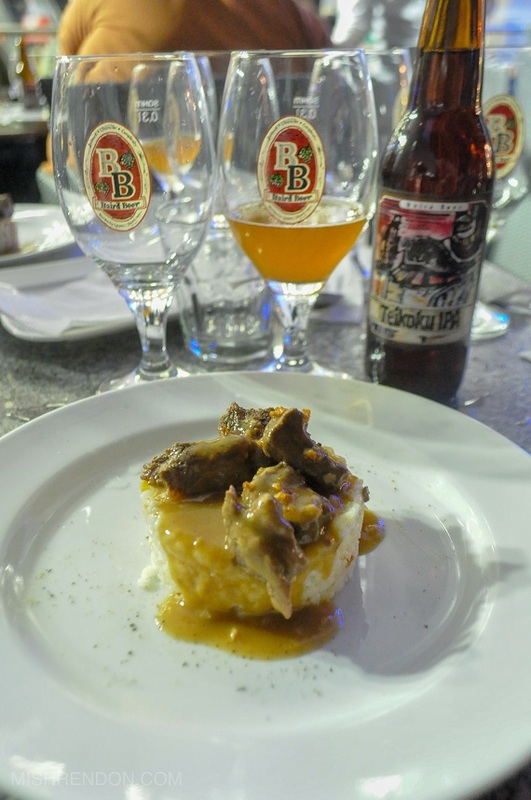 To pair this dish with, we were served with Rising Sun Pale Ale. Among the several brews that we had, this one has the most crisp and refreshing flavor. I think this was a hit that night. It has a balanced flavor and aroma that captured everyone. I am not a fan of sandwiches but this Grilled Reuben was surprisingly good. I don't mind having this for breakfast everyday. The corned beef slab inside was tender and delicious. The sandwich wasn't dry at all because of the sauerkraut and dressing and the mixed cheese gave it a boost of flavor. The most unique craft beer that was served to us (and probably known to me) is the Wabi Sabi Japanese Pale Ale. Not only it is a hybrid of the Pale Ale and Indian Pale Ale, it also incorporates local Japanese flavors such as wasabi and green tea. Thus, it has a herbal yet bold taste. Just when I thought I couldn't stuff in more food in my mouth, this Ribeye Salpicao comes out of the kitchen. This dish has the most tender beef and the gravy is to die for. The serving is just appropriate for one meal. And on top of the other dishes that we had, I was pretty much in a food coma after this. The Teikoku IPA was probably the strongest among the ones we tasted that night both when it comes to flavor and alcohol content. It was just the perfect match for the equally flavorful Ribeye Salpicao dish. I am not a fan of beer that has a rich and bold taste but this one has a flavor that makes it appealing. A classic dessert was served us but it was nothing short of common. 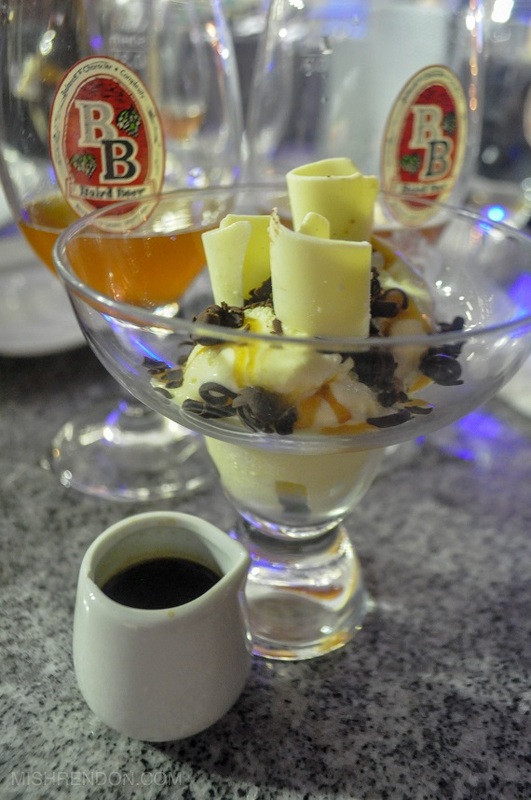 With UCC's specialty coffee brew, the Affogato was the perfect way to end the six course meal. This double vanilla scoop ice cream dish is paired with chocolate, pistachio nuts, and espresso shot. This dessert would have been awesome with Baird Shimaguni Stout beer but we weren't able to try some. The good thing though is that it is now currently available at Booze Online Inc.
You may try out the food & beer pairings mentioned in this post at Mentore Coffee + Bar by UCC. You can locate them at 2/F SM Aura, BGC, Taguig.